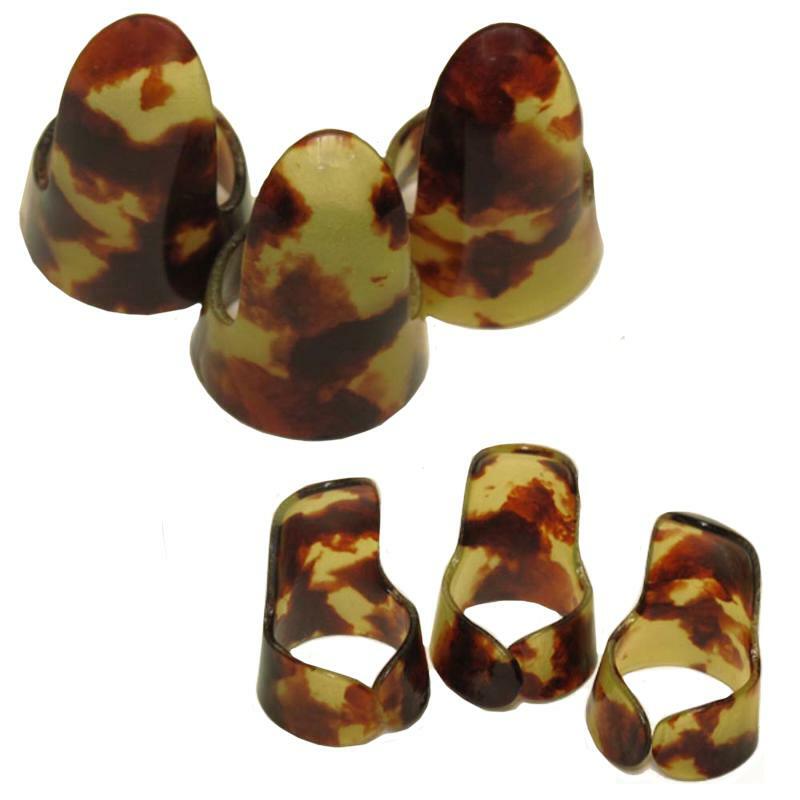 Set of three finger picks in tortoise shell or rainbow colored hard plastic. These slide on picks assist in optimal string playing. Plastic picks give articulation and it make possible to play more aggressively. Affordable set. Included in free shipping promotion (*accessories ship free with purchase of an autoharp).